I just did another post for the “mediation” blog at The Other Journal. It’s about “The Social Network,” loneliness and the Desert Fathers, and you can read it here. 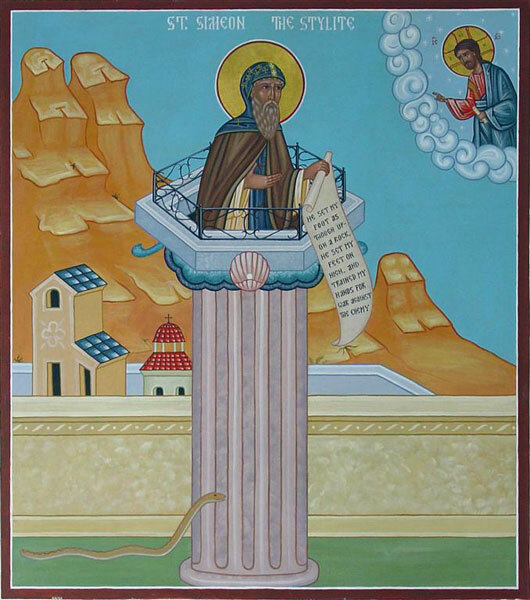 I wanted to add this picture of Simeon Stylites to the article, but the server was acting funny… so here it is for your viewing pleasure. Today I have my second class on Eastern Orthodox iconography, so it’s also appropriate from that angle.